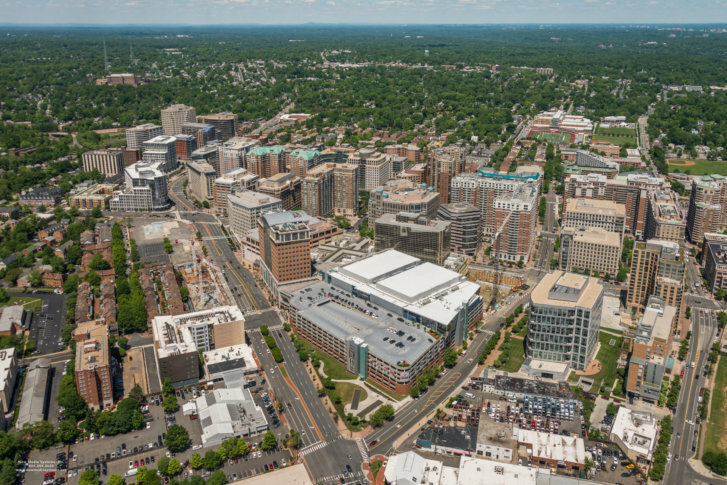 WASHINGTON — Developer Forest City has released a list of additional retailers that have signed on at Ballston Quarter, its ambitious 850,000-square-foot total redevelopment of the Ballston Common Mall, and many are local to the Washington region. Steadfast Supply, a D.C.-based retail shop and curated events hub selling home, beauty, fashion and pet accessories, as well as artisanal food and art. Steadfast Supply’s original location is at The Yards (another Forest City development). Gossip, an affordable women’s fashion boutique with clothing and accessories all under $100. It is moving its original store from Crystal City to Ballston Quarter this fall. Potomac River Running, a family-owned, Virginia-based running specialty store is moving from its current Ballston location to Ballston Quarter. Scout and Molly’s, another fashion boutique. Francesca’s, a national clothing and jewelry store with 700 locations nationwide and more than a dozen in the Washington area. Forest City has already announced other tenants, many of which fall into the category of “experiential,” such as restaurant, bar and bowling alley Punch Bowl Social; Cookology, a cooking class venue, and Nook, an indoor play and learning space for young families. Ballston Quarter will also include Quarter Market, a 25,000-square-foot food hall that will eventually have 18 local vendors. Existing Ballston Common Mall tenants Regal Cinemas and Sport&Health are also undergoing multimillion-dollar renovations. Forest City has said that nearly 40 percent of the property will account for experiential offerings, making it one of the region’s largest entertainment hubs. Forest City’s two-year redevelopment of Ballston Common Mall as Ballston Quarter includes a complete overhaul of the mall itself, in addition to a new 22-story residential building and 176,000 square feet of office space.